It was curtains for South Asia when the Indian cricket team lost to a formidable Australian team at the semi-finals of the International Cricket Council’s World Cup championship on Thursday. It is an irony that the tournament is called “World Cup” considering only 14 countries participate in the game that is followed fanatically only in the sub-continent. However it is now a final, where the the two teams Australia and New Zealand from the same continent will clash against each other on Sunday at the Melbourne Cricket Ground. The defeat of the Indian team against the mighty Australian team saw emotions outpouring from the Indian fans who took both to social media and to the streets to vent their frustration and anger. And when no one paid attention to their madness, the frantic fans started heckling not the 11 players of the team or its team management, but a woman named Anushka Sharma for the team’s loss. Sharma is not a ground staff of the team, not a coach nor a player. She is a popular Indian actress who is dating Virat Kohli, the next in line captain of the Indian cricket team. The fact that Kohli consistently failed to put a decent score in the entire tournament seemed less daunting for the Indian fans, than the fact that his partner – a successful, beautiful and famous woman who had an identity of her own – was in the stadium cheering for him, without the baggage of being his wife. It was not surprising that the predominantly male cricket fans seeped in the patriarchal system of the country couldn’t handle this modern relationship. Cricket though is not only India’s national sport. In more ways than we might imagine it is a mirror to the Indian society. The heckling of Anushka Sharma brought out the misogyny of the society. Filmstar Anushka Sharma at the Sydney Cricket Ground watching the Semi-Finals of the World Cup clash between Australia and India. The Indian team’s loss saw social media being abuzz with misogynyst and sexist comments against the actor, and apart from that, the loss also brought out arguments and counter-arguments about the social nature of Indian cricket and how democratic it is. For a sport which has become the symbol of national importance and is strongly associated with feelings of patriotism, a loss is considered to be a national disaster and that too in the semi-final of a world cup. The composition of the Indian team is a reflection of how long the country is taking to establish an equitable and just nation. A colonial sport, which was brought to India by the British colonizers, has evolved to become a symbol of the nation and an integral part of everyday Indian culture. Cricket is a sport that is watched and followed by millions in India and goes beyond the rubric of sport and is contoured with nationalism and communalism. Cricket indeed shapes Indian nationalism in many ways, though gendered in nature; it has become the site where one’s patriotism is put under test and especially during the team’s clashes with Pakistan. More than a sport, thus cricket here becomes a symbol of nation’s sentiment and it also enjoys political sanctity as one saw the sport being used as a means to negotiate political diplomacy with the Pakistan state. An important question which needs to be addressed here is this: Is the sport, which has followers across religion, class and caste and is followed in all parts of the country, really representative of the nation-state and its people? A related question is this: how democratic is it in its representation? Unlike football, cricket emanated from top to bottom in India, the sport played by British colonizers in Bombay (Mumbai) among themselves, which was later imitated by upper class Parsis, then by the Hindu and Muslim elites who had their own clubs and teams; at each stage of its evolution the sport excluded sections of the society. Does the Indian cricket team represent the social fabric of the Indian society? Ramachandra Guha  argues that cricket as a sport cannot be understood in isolation and is strongly connected to the overarching themes of Indian history :race, caste, religion and nation. He gives us an idea how exclusive the sport was: “through its communal representation the Indian Christians were left out as they were rejected by Europeans as they were not white and the Hindus and Muslims too rejected them as they were not one among them.” The discriminatory nature of Indian cricket is exemplified through the figure of Palwankar Baloo. A Chamar  by birth, he was easily the most successful bowler of his era, but despite that he could never gain upward mobility in the sport and never became captain of his side. The main reason was he was a Dalit, or Untouchable. During his playing days, Baloo faced discrimination. His colleagues, the upper caste cricketers, touched the same ball as he, but off the field they observed the ritual taboos. At the drinks break, Baloo was served tea outside the pavilion, and in a disposable clay cup, while his colleagues drank in white porcelain cups inside. If he wished to wash his hands and face, an “Untouchable” servant of the club took a kettle out into a corner of the field and poured water from it. Baloo also had his lunch in a separate plate, and on an earmarked table. Guha compared Baloo’s achievement on the cricket field to that of Jackie Robinson in American baseball, who was likewise the first player in his game to break through what had formerly proved to be an impenetrable social barrier. The comparison is not at all far-fetched, for caste is, if anything, a more rigid and total system of social exclusion than race. As a known case, the Tamil Nadu Cricket Association (TNCA), which is dominated by the Tamil Brahmins, is also riven by the constant bickering between the Iyer and Iyengar subcastes among them. TNCA has over the years become a common property of the Brahmin males in the city of Chennai (formerly Madras), and going well beyond the aspects of sport, cricket is a field for pursuing modern forms of caste discrimination, gatekeeping and social exclusion. Cricket as a sport as mentioned earlier functions as a site of construction of nationalism and in the Indian case, more like other sports it acts as a masculine domain where concepts of hegemonic masculinity and nationalism overlap. Here the fact that in the colonial era as inferiorized selves, cricket served as a measure to overcome that marginality. This long tradition where the sport became a marker of nationalistic aspirations to overcome inferiority formed the construction of Indian nationalism. 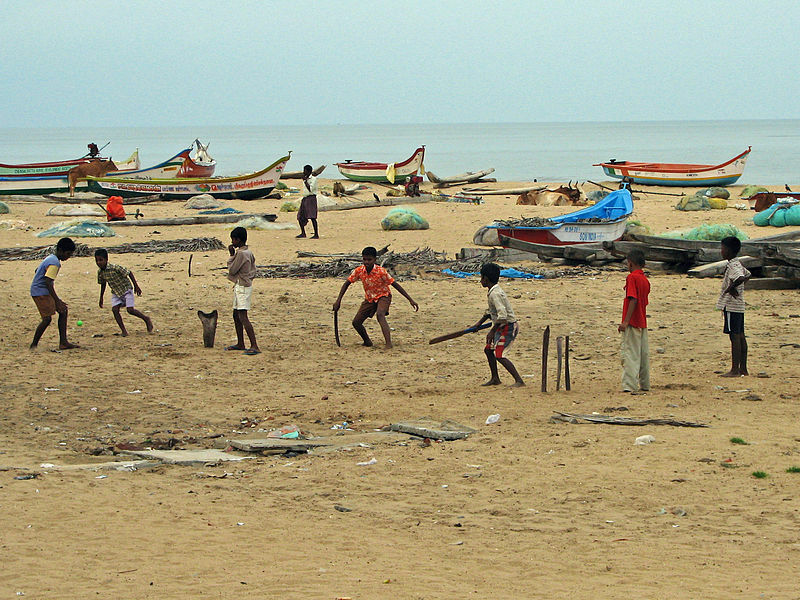 Cricket, being followed by millions of fans across the sub-continent, largely remains a sport that defines masculinity in its hegemonic form, and interestingly the history of cricket in India shows us how the sport in colonial Bengal was taken up by the upper caste elites as a form of counter-hegemonic measure towards the construction of the Bengali male as effeminate by the British. This being the case, the sport which is followed mostly by males who in a sense have subordinated masculine identities see the sporting heroes as symbols of hegemonic masculinity, and through them they imagine a way out of subordination. That is why there was such an outrage when one of their masculine icons failed; they targeted the woman, thus defining an inherent characteristic of female subordination in the construction of masculinity. In another case of subordination, the caste exclusivity in cricket also defines the being of an upper caste male as a prerogative in the construction of nationalism. 2 Chamars are members of Scheduled Castes a formerly untouchable caste that was involved in leatherwork, so was considered by the orthodox Hindu society as polluting. Karthikeyan Damodaran is a doctoral candidate at the University of Edinburgh. His research focuses on caste processions and commemorations in Tamil Nadu, and his interests include, identity politics, social movements, caste and class, film studies and urban studies. Divya Rajagopal is a Special Correspondent with Economic Times newspaper based in Mumbai, India. It would be good if you highlight the era of Baloo (1905/06 – 1920/21); A period of Indian history which is agreed by all for its caste and religion discrimination. Putting game of ‘Cricket’ in the center of that topic is absurd. What are you conveying in this?